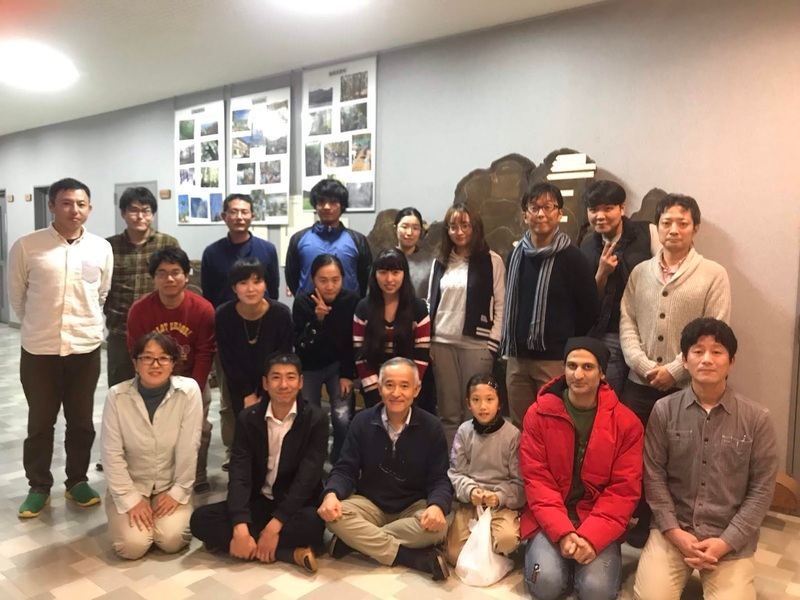 2018 big seminar was held with an invited guest speaker, Dr. Nobuaki Tanaka. The seminar started with a keynote speaker, Dr. Kyoichi Otsuki (a leader of Forest Ecosystem Management, Kyushu University), and Dr. Tanaka introduced his current research. Next, we had a field excursion in Wakasugi mountain, guided by Mr. Shimono. LMAO. We are all very thankful to Dr. Nobuaki for his attendance at our big seminar and presentation, out of his busy schedule.